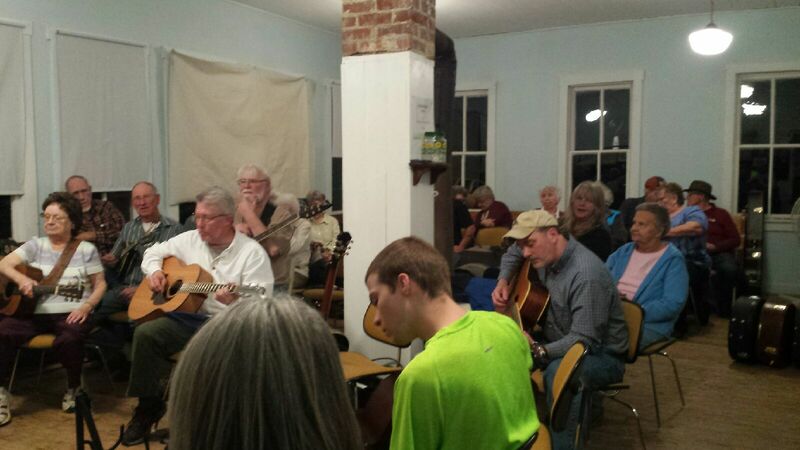 On March 3rd, Brydon, Swearengen & England shareholders and attorneys Paul Boudreau and Dean Cooper attended a bluegrass music circle that meets in the old one-room Wheeler Schoolhouse in Maries County, Missouri, which is west of Vienna. While the event tends to draw on and feature local talent, bluegrass musicians from as far away as Rolla, Ashland and Eldon, Missouri may show up to participate in the monthly social music event. Good music, good food and great conversation are always in supply. Featured above, you can find a photo of the music circle from the event.